Interpreters, translators, linguists. Call it what you want, at the end of the day, we're communicators. As communicators our top priority is accuracy, whether it be through the written word or through oral interpretation. 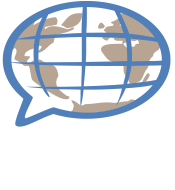 Continental Languages, LLC, bridges the communication gap through people. It starts with our carefully selected team of interpreters and translators, and is reinforced by our exceptional customer service and administrative staff, who are available to service our clients at a moment’s notice. Our company’s philosophy, at all levels, revolves around one common goal–excellence in interpreting and translation in Chicago and surrounding suburbs as well as Northwest Indiana and beyond. Our priority is to provide trusted multilingual communication. We also realize that interpretation and translation transcends being bilingual. We partner with our client to ensure the true meaning is always at the core of all forms of communication. Bridge the gap, give us a call at (312) 201-8888 or (219) 513-2300.